Join me and for the first time my very special guest co-host, Kevin Soden, MD on Thursday, October 29, 2009 for a fascinating discussion with our medical expert, J.James Rohack, MD, President of the American Medical Association. We will discuss the topic of health care reform and what it means for you. What are the myths about health care reform? Will health reform cut Medicare benefits? What does it mean for the 46 million Americans who are uninsured, how will this change? The Health in 30 radio show airs from 5:30 p.m. to 6:00 p.m. EST on WRCR-AM 1300. You can listen to the program live online by clicking here. If you have questions that you’d like Dr. Rohack to answer on the program, please send your question via the Contact page. Due to the volume of questions, we can’t guarantee that all will be answered. J.James Rohack, MD, a senior staff cardiologist at Scott & White Clinic in Temple, Texas, became the 164th president of the American Medical Association (AMA) in June 2009. Dr. Rohack has been a member of the AMA Board of Trustees since 2001 and served as chair from 2004 to 2005. He has served as treasurer of the board of commissioners of the Joint Commission, chaired the National Advisory Council to the Agency for Healthcare Research and Quality, and is one of the principals of the Hospital Quality Alliance. In 2009 he was voted No. 20 in the 50 Most Powerful Physician Executives in Healthcare by the readers of Modern Healthcare and Modern Physician magazines. A board-certified cardiologist, Dr. Rohack is actively involved in patient care at Scott & White Clinic, where he serves as the director of the Center for Healthcare Policy and as the medical director for system improvement of the Scott & White Health Plan—a not-for-profit health plan that is nationally recognized for quality health care delivery. 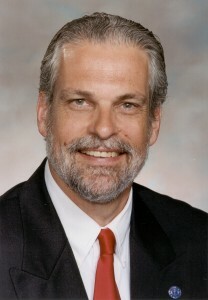 A professor in both the Departments of Medicine and Humanities at the Texas A&M Health Science Center College of Medicine, Dr. Rohack’s past leadership responsibilities include president of the American Heart Association’s Texas affiliate, president of the Texas Medical Association (TMA), chair of the TMA Council on Medical Education and member of the TMA board of trustees. « Swine Flu: H1N1 Flu Vaccine – Who Should Get It, Who Shouldn’t Get It and Is It Safe?